Ok here it is a new post. Its been a while and I’ve been a bit busy and haven’t really been shooting anything lately. The hot weather hasn’t helped as there is not much excitement out around here this time of the year. It’s that time of the year when I feel a bit flat as far as shooting goes , I’m waiting for green grass and rain , bring it on I say !!! Anyway Fri night I decided to get a shot of the moon as it supposed to be closer than normal. I didn’t get a chance last night but I actually think tonight will be better as it will be rising after sundown and I think the glow will be better. 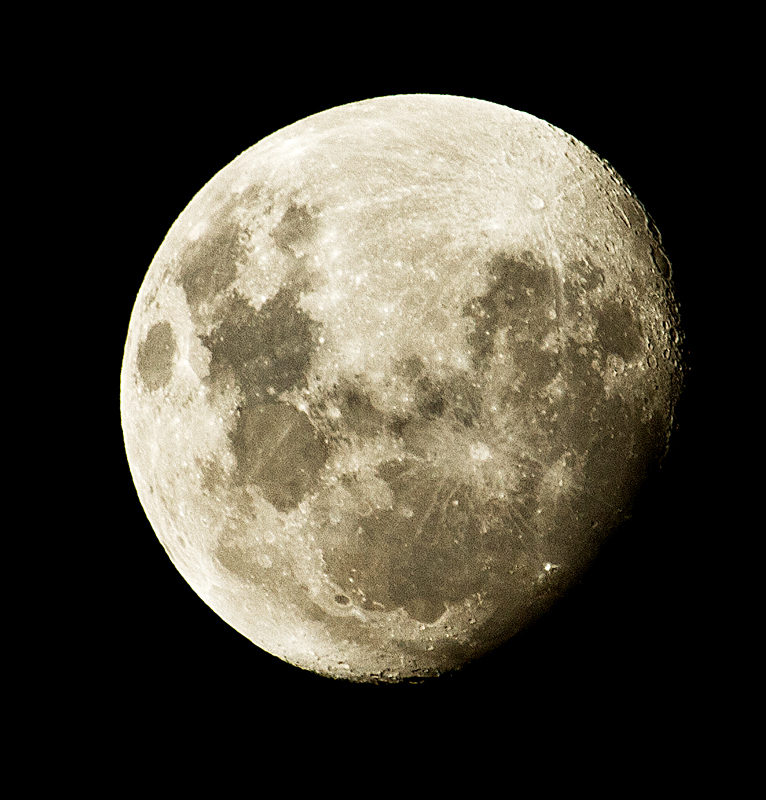 Shot with the 100-400 and the 7d so its actually closer to 600mm.